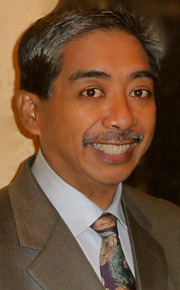 Dr. Alejandro Lazo, DC, was born and raised in Maui, Hawaii. His parents, Alejandro Sr. and Ciriaca Ribucan Lazo, were Filipino immigrants working in the pineapple fields of upcountry Maui. He graduated with honors from St. Joseph , Maui High School (1976), and Texas Chiropractic College (1984). Dr. Lazo provided chiropractic care in Texas for 10 years. In 1994, he decided to move back home to the Maui office where his chiropractic journey began. Thanks for visiting our site. I look forward to meeting you in person and learning how we may be of service to you. Give our Wailuku office a call, or email me.